With so much attention focused on Olympic events, I wanted to remind readers that we have our own unique local competitive action coming up on Saturday, August 11 in the shape of Sunbury amateur regatta. 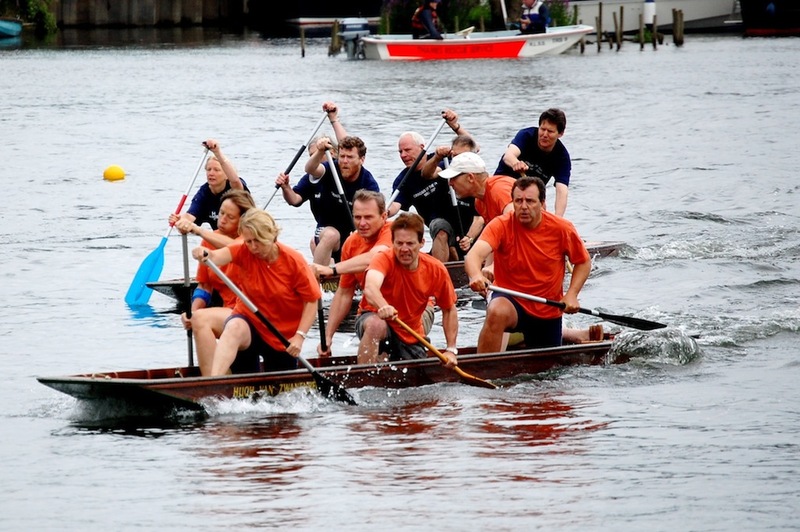 There has been a regatta held in Sunbury since 1876 and it has earned a reputation as both a highly competitive skiffing event and a fantastic fun day for the family. Held at Rivermead Island, just downstream from Sunbury Lock, the regatta normally attracts between 50 and 60 skiff clubs from as far afield as Cambridge and Wargrave – and believe me, the competition is fierce. At the other end of the scale – but just as competitive – are the dongola races. These are flat-bottomed punts with crews of up to six, facing forwards and paddling with a single paddle while balanced on one knee. The name comes from an expedition on the Nile mounted by Lord Wolsey in 1884 aimed at relieving General Gordon at Khartoum. Wolsey offered a prize of £100 (an absolute fortune in those days) to the battalion that covered a 370-mile stretch of the mighty river in the shortest time – and the course took them through the Dongola gorge in southern Sudan. Many of the dongola crews taking part at Sunbury appear in fancy dress and it’s not exactly unknown for them to end up in the water – it’s a great spectacle. And, of course, quite apart from the racing on the river, the regatta also makes full use of Rivermead Island itself with sideshows, stalls, face painting, puppet shows a tug of war and all kinds of other events. Many community groups and charities set up stalls on the lawn hoping to attract new members and supporters and for many, it’s an important fundraising opportunity. A significant proportion of the profits from the lawn are split between worthy causes. The racing gets under way at 9am on Saturday and continues through the day until around 6.30pm followed by the prize giving. But the evening is also worth staying around for when local bands and singers will be playing – the bars and restaurant areas will remain open until dusk! The whole day ends up with the traditional illuminated sail past by boats from the Middle Thames Yacht Club followed by a stunning fireworks display. It’s a wonderful day and I hope hundreds of you will turn out to support it. It’s also worth pointing out that there is also racing on Sunday when the youngsters take to the water for the junior regatta.